The Swim for Children’s Guild is delighted to present the Park to Park Swim 2019. We are a group of volunteers that enjoy swimming, boating and supporting our region’s most precious resource – Seattle Children’s Hospital. 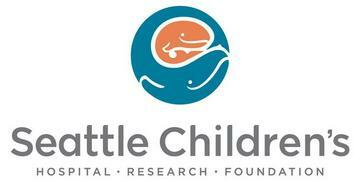 The swim has generated over $265,000 for Seattle Children’s Hospital in its 15-year history. Whether you want to swim, volunteer, or spectate, please come out and enjoy the fun and support a great cause. What could be more important? Every hour of every day, families depend on Seattle Children’s to provide expert, lifesaving care for their children. During this difficult time, many families also worry about how to pay for essential items such as food, gas, a bus pass or a safe place to stay while their child is hospitalized. Through the Emergency Patient Assistance Fund, Children’s social workers offer families support for these and other necessities, so that a family’s basic needs don’t stand in the way of healthy kids. The fund serves more than 2,000 families every year. This would not be possible without the generous support from our community and the Park to Park Swim. Registration for both events opens April 1st! This event would not be possible without our sponsors!